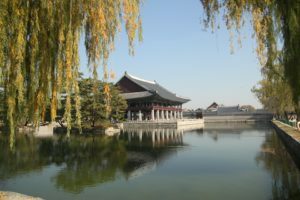 This page gives information on Seoul Travel Itineraries and South Korea travel. It started one day in Oct 1994 when my manager called me to ask whether I had a passport. I had one. Next question was do I have any problem with going abroad for a month. I thought..going on someone’s expense and getting paid.. NO Problem! What more does a 23-year-old want? My first visit abroad was to South Korea was quite interesting. 2. I did not speak a word of Korean and my colleagues as clients did not speak a word of English. Great Fun. On day one: I turn the PC ON, click on windows icon and great – it’s a Korean version. That’s when I appreciated Windows, by the time I got an English version, I could open word, type documents and save it successfully without me understanding a word where I was clicking. It was just so intuitive – Same place, same links to click for open, save etc. Day one noon(after backing from lunch): I entered my office room, which was dark now. All the lights were switched off and I could see many of the colleagues happily sleeping – some with legs on the table. At 1:30 pm, someone switched the lights on. Later on, I got accustomed and must admit – did doze off a couple of times in a month. I stayed at a place called Hotel Yoido at a central location in Seoul – Yoido-dong, Yungdeungpo-Ku. It was very close to National Assembly Building and KBS, MBC, SBS broadcasting stations and the highest building in Oriental 63 Floors Daehan Life Insurance Co., Ltd’s building, Haengju Samsung, Jeondeung temple, Panmun Jeom, Unification Observation Tower and other famous tour-sightseeing places. The highest building in Korea is the 63 Building. The observation floor is actually the 60th floor but there are a couple floors of air conditioning and elevator stuff on top and 3 basement floors–either way it lives up to its name. You have 2 options to see the view: (i) pay about 7,000 won (6USD) to go up in the glass outside the elevator in the daytime or (ii) pay nothing to go up the inside elevator at night and have a beer at the bar (cost: about 7,000 won for the beer). During the day the entire floor is viewing, but at night half of it is converted to a bar. There is also an IMAX theatre, a food court, shopping, 2 Japanese restaurants, a massive buffet, Chinese and Korean restaurants…and close to the Hangang (Han River) Park. While I was at the observation tower – I saw my first snowfall, was great coming from India. Firstly I did not realize it was snow- until I came down. Memorable experience. Gyeongbok Palace was built as the primary palace of the Chosun Kingdom by its founder, King Taejo in 1395, the fourth year of his reign. Lotte World is like a small city with an amusement park, folk museum, sports center, skating rink, water slide park, shopping center and the hotel. Most facilities are indoors, so they can be enjoyed throughout the year. The central area is open so that people can watch the other people ice skating, enjoying the rides, eating, and shopping. Nandaemun, the Great South Gate of Seoul fortress, was built in 1398 and rebuilt in 1447. The fact that most of the stones in this massive edifice are original is one reason why it has been designated Korea’s National Treasure No. 1. It now stands isolated in the middle of a modern highway, on one side of which is the 600-year-old Nandaemun Market. It is one of Korea’s largest wholesale markets. There are over 1,000 shops, stalls, retailers, street vendors, and has several department stores nearby. Here you can find clothes, shoes, fabrics, tableware, flowers, vegetables, ginseng products, toys, and watches. I bought a watch there in 1995 for about 12 USD and it’s still working. This palace was built in the 1400s, destroyed by the Japanese in the invasion of 1595, and rebuilt in 1611. The Secret Garden — or Biwon — is the main attraction and makes Changdeokgung unique from the other palaces. This is a magnificent Korean garden that was closed to the public in Royal times. All visitors to Changdeokgung must be on a guided tour. English tours are conducted 3 or 4 times a day, the best time being around 1530. The demilitarized zone is a 2.5 mile wide, 175-mile long strip of land that divides the two Koreas. At the signing of the Armistice in 1953, it was agreed that both sides would pull their troops back 2,000 meters in order to maintain a peaceful border. When you visit, and the weather is nice, you can see the North Korean Soldiers on their guard – I could see a few farmers from the binoculars. This visit is fairly unique. My Korean counterpart took me there by his car and then a tourist bus uphill. I went to South Korea / Seoul again in 1995 for two months in the summer. This time it was slightly better as I could read Korean. Although I like the country, it’s not really a ‘touristy’ place of my kind. It’s very modern with new buildings, shopping etc. but if I have to choose between Korea and other places in Asia – like Japan, Thailand, India – I think I would prefer these.